On Friday, the Music Now festival returned to Music Hall. The evening began with a small recital in the Corbett Tower featuring works by composers present at the festival and by John Sebastian Bach. Yuki Numata Resnick played a couple of unaccompanied violin pieces by Bryce Dessner. I particularly enjoyed the second one, written in the tradition of the Bach preludes: Resnick was able to transcend the busyness of the arpeggios and attain remarkably meditative quality. This was followed by a Bach Saraband, with double, in which Reshnick she was joined by her husband, who is trumpeter for The National. Nico Muhly joined her on the piano for his “Drones & Violin”, a piece where the instruments trade off being the drone accompaniment. The concert ended with a piano soloist James McVinnie playing a Bach Partita. When I looked around, I noticed that the room was packed, with people standing around the back. It was not the usual bunch of grand parents: the crowd was mostly young. The orchestra concert began with a CSO premiere of a piece by Edgard Varèse: “Tuning Up”. Actually, Varèse never finished this work: it was put together by his pupil and curator Chou Wen-chung from fragmentary notes that were discovered after the composer’s death. Though Varèse is famous for his definition of music as “organized sound”, this particular work shows hardly any sign of organization: it is a complete mess. Varèse was better represented indirectly, through the influence he had on other works on the concert: “The Infernal Machine” by Christopher Rouse and “Short Ride in a Fast Machine” by John Adams. 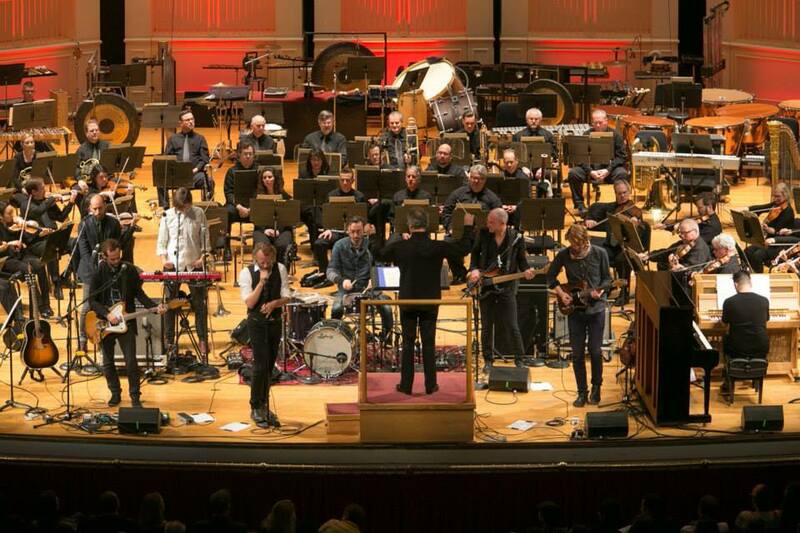 These are both orchestral show pieces from well established composers, full of rhythm, energy, and the clashing sounds of the late twentieth century, well chosen to appeal to an audience more at home with rock than with the 19th century classics. The orchestra gave both pieces thrilling performances. In between these were two pieces from young composers featured in the festival. “Lachrimae” for string orchestra was written by Bryce Dessner, the festival organizer. 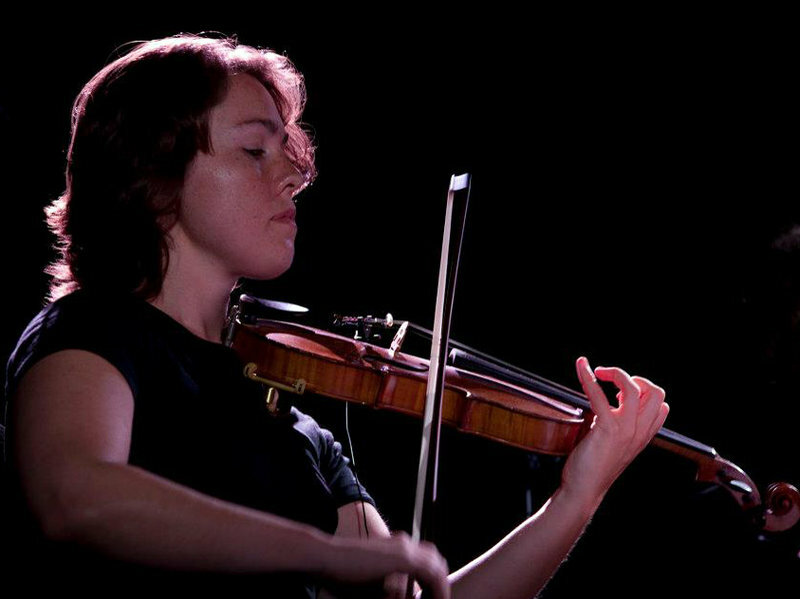 The other work was a world premier commissioned for the festival: “Lo” by Caroline Shaw, for violin and orchestra, with the composer on the violin. Though there are occasional technical passages for the soloist, “Lo” is not a flashy virtuoso concerto in the Romantic tradition but a lovely orchestra piece with a prominent violin solo. It features simple tunes, sometimes pared down to a bare scale, while other times with emotionally laden arcs. The orchestration is colorful. The harmony is often sweet, without being predictable. There are occasional quotations, references to familiar pieces, but I never found it derivative. Her style shows the influence of modernistic complexity, but the music has a simple core, which is both easy to follow and emotionally engaging. She is clearly one to follow in the future. It is not just me who thinks so: she is the youngest composer to ever be awarded the Pulitzer Prize. The festival seems to want to pack as much music in as possible. During intermission, Mina Tindle payed in the lobby. For me intermission at Music Hall is often spent in the lobby enjoying the echo of an enthusiastic crowd in happy conversation. This time, the crowd was larger and louder than usual. Adding music to this lovely noise is pointless. Details, such as the words of a folk singer, what language she might have been singing in, or sometimes even the chord changes, are lost. Towards the end of the set as the crowd thinned out, I recognized a tune as a folksy variant of a familiar chorale I know as “Ye watchers and ye holy ones”. Mina Tindle, seems to have a pretty voice, but I cannot tell much about her music from this event. After intermission, the concert was taken over by The National, with the orchestra playing accompaniment. Regardless of what I think of the National, this is largely a waste of a world class orchestra: they added sweet chords and a little background color, but the interest was in the band. Only on one song, “Vanderlyle Crybaby Geeks”, did I find the orchestra doing anything interesting, and indeed, this was my favorite piece in the set. In researching the National for this little post, I ran across this: “The National makes me feel that rock music, like much of American literature and visual art before it, has died and gone to graduate school.” Whatever the effect on rock, which is, after all, anti-intellectual, it is very healthy for the young, classical composers of today to be engaged so successfully in the vernacular music of their generation. In our culture, recorded music is often used as backdrop for other activities, and the popular genres are clearly better suited for this purpose than classical music. In this concert setting, I found The National rather boring. However, I was in the minority. It was obvious that The National had many fans in the audience: they started clapping (meaning “I know this one”) at the instrumental introduction of particular favorites. 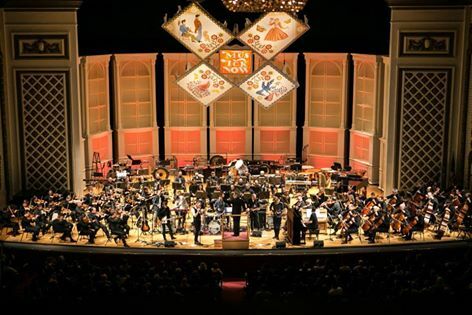 With both originality and serious musicianship, this band has earned the “ridiculous honor”, as singer Matt Berninger called it, of playing on stage with this world class orchestra. The proof is in the packed house, an audience that Louis Langrée, director of the CSO, clearly hopes will come back for more.